Finals, Touchdowns, and Barrel Kicks by Jacqueline E. Lawton has been published in PLAYS FOR TWO, an anthology edited by Eric Lang and Nina Shengold, published by Vintage Books (Random House). 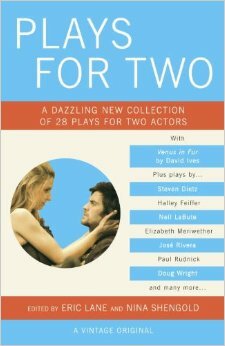 Plays for Two is a unique anthology of twenty-eight terrific plays for two actors, by a mix of celebrated playwrights and cutting-edge new voices. Plays by: Billy Aronson, David Auburn, Pete Barry, Naveen Bahar Choudhury, Anthony Clarvoe, Steven Dietz, Halley Feiffer, Simon Fill, Frank Higgins, David Ives, Jacob Juntunen, Ean Miles Kessler, Neil LaBute, Eric Lane, Kitt Lavoie, Jacqueline E. Lawton, Mark Harvey Levine, Elizabeth Meriwether, Michael Mitnick, Daria Polatin, Marco Ramirez, Kelly Rhodes, Jose Rivera, Paul Rudnick, Edwin Sanchez, Nina Shengold, Cori Thomas, Doug Wright. Previous anthologies from Eric Lang and Nina Shengold include: Laugh Lines: Short Comic Plays, Talk to Me: Monologue Plays, Under Thirty: Plays for a New Generation, Take Ten: New 10-Minute Plays, Take Ten II: More Ten-Minute Plays, Plays for Actresses and Leading Women: Plays for Actresses II. Plays for Two is scheduled to be released in March of 2014. Click here to preorder your copy. 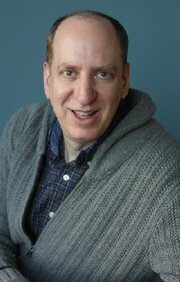 Eric Lane's award-winning plays have been published and performed in the U.S., Canada, Europe and China. Plays include RIDE (Dramatists Play Service), TIMES OF WAR (Dramatic Publishing), HEART OF THE CITY and DANCING ON CHECKERS' GRAVE (Playscripts). In addition, his plays are published by the Foreign Language Press (in English and Chinese) and Applause Books' Best American Short Plays. JACQUELINE E. LAWTON was named one of 30 of the nation's leading black playwrights by Arena Stage’s American Voices New Play Institute. Her plays include: Anna K; Blood-bound and Tongue-tied; Deep Belly Beautiful;The Devil’s Sweet Water; The Hampton Years; Ira Aldridge: the African Roscius; Lions of Industry, Mothers of Invention; Love Brothers Serenade (2013 semi-finalist for the Eugene O’Neill Theater Center’s National Playwrights Conference), Mad Breed, and Our Man Beverly Snow. Ms. Lawton’s work has been developed and presented at the following venues: Active Cultures, Classical Theater of Harlem, Folger Shakespeare Library, theHegira, Howard University, Kennedy Center’s Page to Stage Festival, Rorschach Theater Company, Savannah Black Heritage Festival (Armstrong Atlantic State University), Shakespeare Theatre Company, Source Theatre Festival, Theater J, and Woolly Mammoth Theater Company. She is published in Experiments in a Jazz Aesthetic: Art, Activism, Academia, and the Austin Project (University of Texas Press). 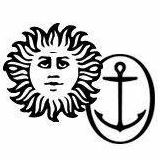 Ms. Lawton received her MFA in Playwriting from the University of Texas at Austin, where she was a James A. Michener Fellow. 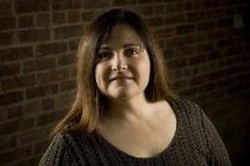 She participated in the Kennedy Center’s Playwrights’ Intensive (2002) and World Interplay (2003). She is a 2012 TCG Young Leaders of Color award recipient and a National New Play Network (NNPN) Playwright Alumna. She has been recognized as a semi-finalist for the Eugene O’Neill Theater Center’s National Playwrights Conference and the Playwright's Center PlayLabs, and as a SheWrites Festival finalist. 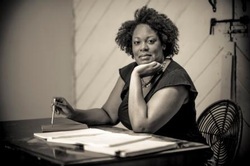 A member of Arena Stage's Playwright's Arena and the Dramatist Guild of America, Ms. Lawton currently resides in Washington, D.C.